There are two types of drivers in the world, the kind that fill up on gas once their vehicle dips near a quarter tank and the kind that wait until the last possible second. If you are in the second camp, you have probably often wondered – how far can I drive with my gas light on? Find out below. How far can I drive with my gas light on? The good news is there might be more gas in your car than you think. While the exact mileage left in your tank depends on the make and model of your vehicle, current driving conditions, and driving habits, there is an estimated number of miles your car can reach. Expect about one to two gallons of gas left. If you know how many miles you average per gallon you can expect to drive one to two times that amount. It should be plenty of time to get the next nearest gas station to fuel up if you head there right away. 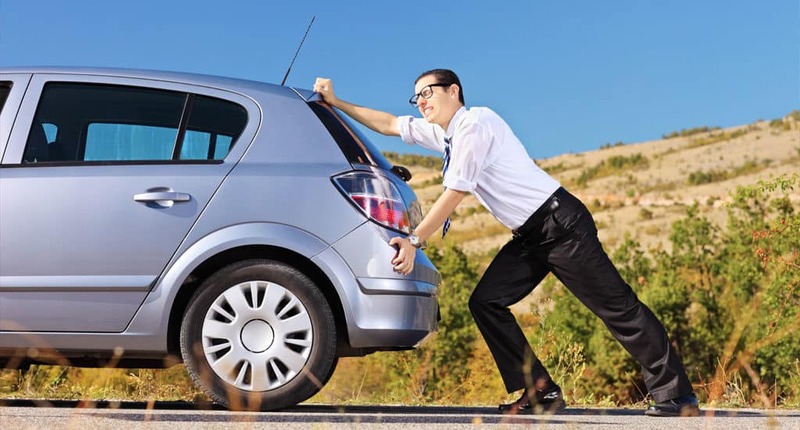 If you really want to avoid the gas station for as long as possible, you should try and adopt some of these fuel saving tricks into your driving routine. Our best tip for saving on gas is to buy a vehicle that is built to be fuel efficient. At Liberty Bay Auto Center we have a fresh inventory of used vehicles that might fit the bill. We suggest starting your search by looking at our hybrid vehicles and compact car offerings. Feel free to give us a call or leave a comment below if you have any more questions about fuel efficient vehicles.